The Projects resulting from the Unit 'SynchroniCity' at Vertical Studio 2014 WSA - Welsh School of Architecture / Cardiff University have been shown at Jacob's Gallery in Cardiff. Vertical Studio, "SynchroniCity". 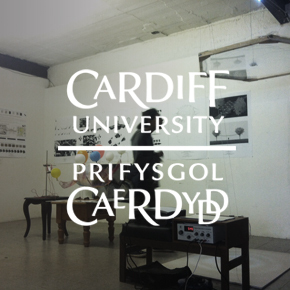 WSA - Welsh School of Architecture, Cardiff University, Wales, United Kingdom. 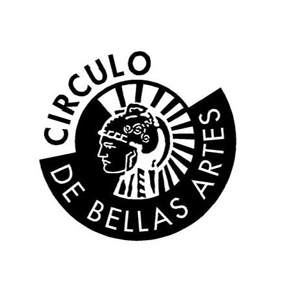 Carles Sala invited as a member of the jury at The Bartlett UCL, University College of London, United Kingdom. Unit 19, Fourth and Fifth Year Projects. Unit 19 / "The Living Spaces of Algorithmics 2.0: Birds of Passage", by Mollie Claypool, Manuel Jimenez Garcia & Philippe Morel. The Bartlett, UCL, London, UK. 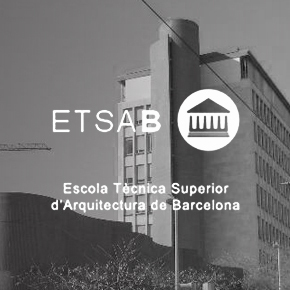 Carles Sala invited as a member of the jury at ETSAB, Universitat Politècnica de Catalunya, Barcelona. Karin Hoffert's Unit, Second Year Projects. 'Projectes IV', by Karin Hoffert. 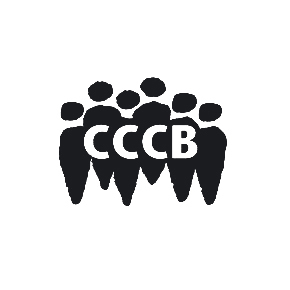 ETSAB, UPC, Barcelona. Carles Sala lectures at the AA Tehran Visiting School, with "SALA FERUSIC Architects. The Office. 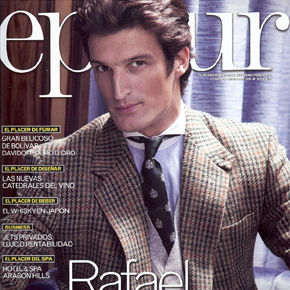 ", where he exposes his professional and research work at his own International Architectural Practice in Barcelona". 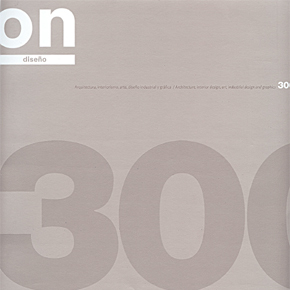 Publication on 'ON Diseño' number 340 about the SALA FERUSIC's works '¿menos da una piedra? LAGRAVERA winery' and '¿menos da una piedra? Vol.2 LAGRAVERA winery warehouse', an issue about Wine Architecture. Carles Sala and Edouard Cabay talk in the AA School of Architecture's Lecture Hall, at the AA Visiting School Summit about the AAVS Barcelona, "Bodega - Enological Metabolism". 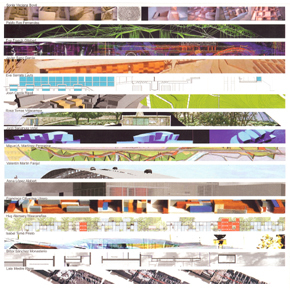 The Master Thesis Project 'ARACHN[OL]OIDS' by Melika Aljukic, Margarita de Bruijn, Sreerag Palangat Veetil and Carles Sala has been selected by Brett Steele to be shown at the AA School of Architecture projects "Director's Selection" from the Projects Review 2013. AA School of Architecture. 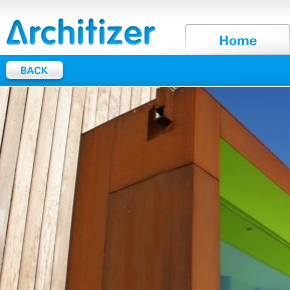 Architectural Association, London, United Kingdom. Carles Sala lectures at the AA Madrid Visiting School, with "From Vine to Wine", where he exposes his professional and research work on Wine Architecture, in both his professional practice and the work of the students at the AA Barcelona Visiting School "BODEGA - Enological Metabolism". The SALA FERUSIC's works 'Spring in Pantone 375 C MAS RODÓ winery' and '¿menos da una piedra? LAGRAVERA winery' are included at the International Exhibition 'Tapas, Spanish Design for Food' curated by the designer Juli Capella at Tokyo Design Week 2013. 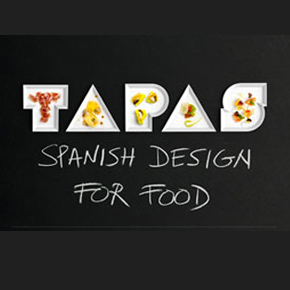 'Tapas, Spanish Design for Food', Tokyo Design Week, Japan. Carles Sala lectures at the Universitat de Barcelona course "Del vi, el patrimoni, els sentits" at the global summer workshop "Els Juliols de la UB 2013", in Vilafranca del Penedès, Barcelona. 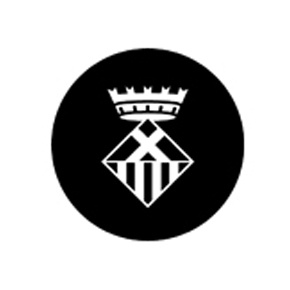 "Els Juliols de la UB 2013" from the 15th to the 19th of July at Vinseum in Vilafranca del Penedès, Barcelona. The SALA FERUSIC's work '¿menos da una piedra? Vol.2 LAGRAVERA winery warehouse' is selected at the 'XII Bienal Española de Arquitectura y Urbanismo' organized by the 'Consejo Superior de los Colegios de Arquitectos de España', CSCAE. 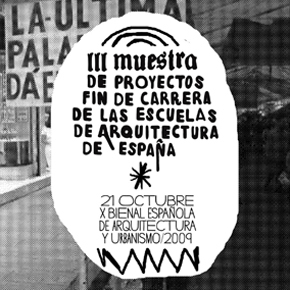 'XII Bienal Española de Arquitectura y Urbanismo' by the 'Consejo Superior de los Colegios de Arquitectos de España', CSCAE, Spain. 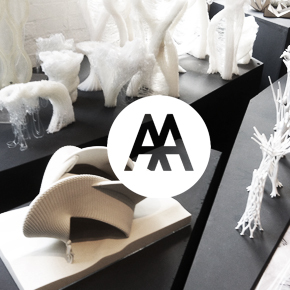 The Master Thesis work ARACHN[OL]OIDS is presented at the Projects Review Exhibition at the AA School / Architectural Association in London, United Kingdom. AA DRL / Design Research Laboratory, AA School of Architecture, London, United Kingdom. Carles Sala graduates as MArch, Master in Architecture and Urbanism by the AA School / Architectural Association in London, United Kingdom. Relja Ferusic and Carles Sala lecture about 'Hybrid Common Urban Space', together with Ecosistema Urbano and Raumlabor at "Days of Architecture 2013", , in Sarajevo, BiH. 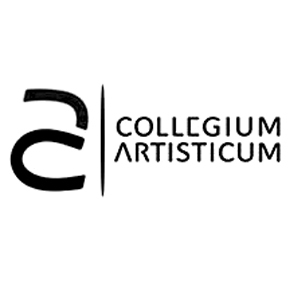 "Days of Architecture 2013" from the 16th to the 19th of May at Art Cinema Kriterion in Sarajevo, BiH. 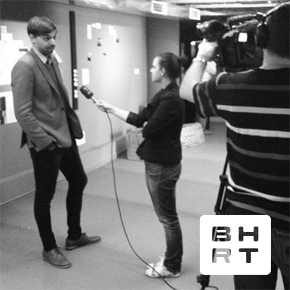 Relja Ferusic and Carles Sala talk to BH RT Television on their lecture about Hybrid Common Space at Days of Architecture 2013 in Sarajevo, Bosnia and Herzegovina. 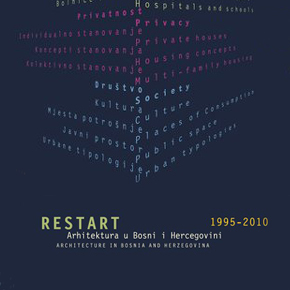 Days of Architecture from 16th to 19th May 2013 Sarajevo, Bosnia and Herzegovina. Relja Ferusic and Carles Sala present SALA FERUSIC's expertise in Wine Architecture at their talk "VINISTRA, Wine Architecture and Territory", in the 20th edition of Vinistra, Porec, Croatia. 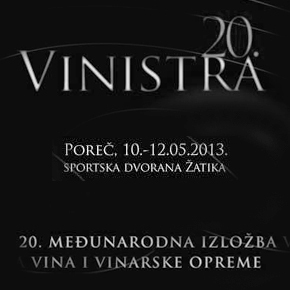 Vinistra, between the 10th and 12th of May in Porec, Croatia. 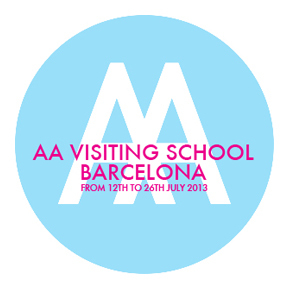 Edouard Cabay and Carles Sala will be directing the very first Architectural Association's AA Visiting School Barcelona, coordinated by Relja Ferusic and Pablo Ros. 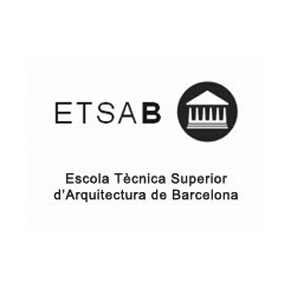 It will be held at the ETSAB - UPC Barcelona Tech, in Barcelona, between the 12th and 26th of July; and the topic for the course will be "BODEGA, Enological Metabolism", as we will be working on the process of wine making to research on designing a new winery. 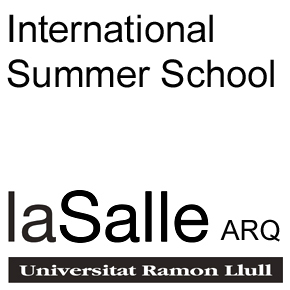 Architectural Association's AA Visiting School Barcelona from the 12th to the 26th of July at the ETSAB - UPC Barcelona Tech (Universitat Politècnica de Catalunya), in Barcelona, Spain. 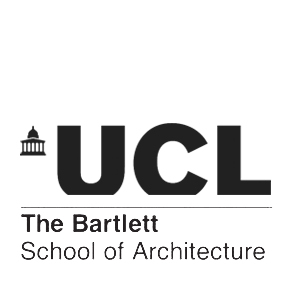 Carles Sala invited as a member of the jury at The Bartlett UCL, University College of London, United Kingdom. Unit 18, Fourth and Fifth Year Projects. Unit 18 / "Phantom 18", by Nannette Jackowski, Ricardo de Ostos, Manuel Jimenez Garcia. The Bartlett, UCL, London, UK. 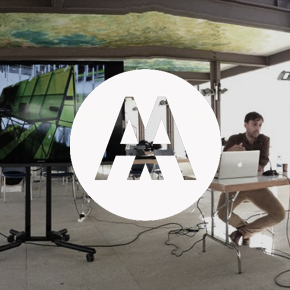 The Master Thesis Project 'ARACHN[OL]OIDS' by Melika Aljukic, Margarita de Bruijn, Sreerag Palangat Veetil and Carles Sala is included in the brief documentary on AA School of Architecture's DRL. DRL Design Research Laboratory, Master of Architecture and Urbanism, AA School of Architecture. 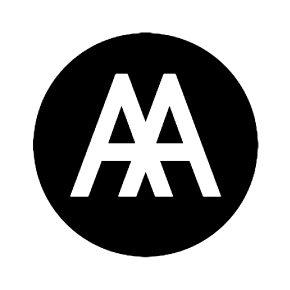 Architectural Association, London, United Kingdom. Invited together with Relja Ferusic, to offer a speech about the SALA FERUSIC's work on 'Architecture and Wine' such as '¿menos da una piedra? 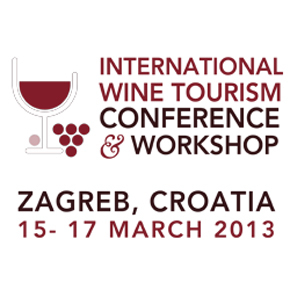 LA GRAVERA winery' and 'Spring in Pantone 375 C MAS RODÓ winery' at the International Wine Tourism Conference, in Zagreb, Croatia. Carles Sala becomes MArch, Master in Architecture and Urbanism by the AA School / Architectural Association in London, United Kingdom. The SALA FERUSIC's work '¿menos da una piedra? 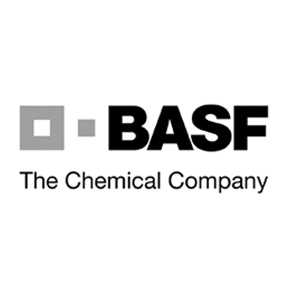 Vol.2 LAGRAVERA winery warehouse' obtains the sustainability Award by BASF / The Chemical Company together with the 'Col.legi d'Arquitectes de Catalunya', COAC. 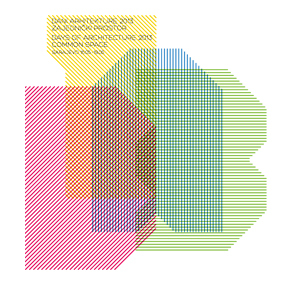 BASF Architectural Awards 2012, Spain and Portugal. The SALA FERUSIC's works 'Spring in Pantone 375 C MAS RODÓ winery', '¿menos da una piedra? LAGRAVERA winery' and '¿menos da una piedra? 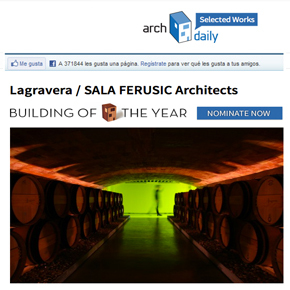 Vol.2 LAGRAVERA winery warehouse' get nominated at the NAN Construcción Architectural National Awards. 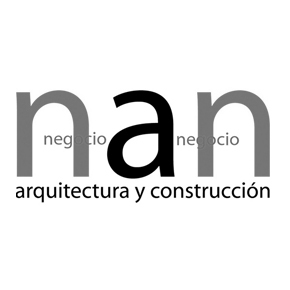 NAN Construcción Architectural National Awards in Madrid, Spain. The SALA FERUSIC's work '¿menos da una piedra? 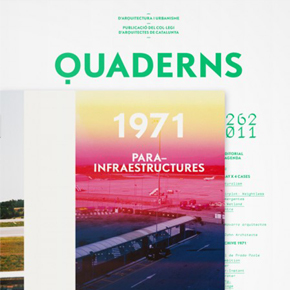 LAGRAVERA winery' has been published on the Yearbook of the magazine 'Quaderns'. 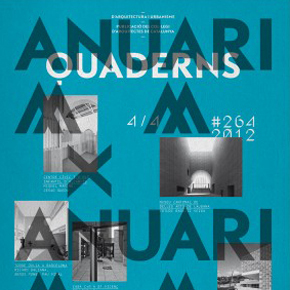 'Quaderns d'Arquitectura i Urbanisme', Anuari, number 264, December 2012. 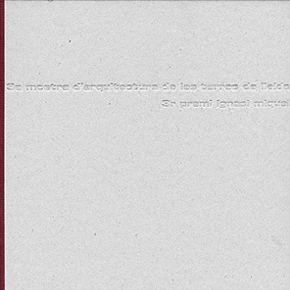 Edited by the 'Col.legi d'Arquitectes de Catalunya', COAC. The work 'Spring in Pantone 375 C MAS RODÓ winery' is explained in an economical review on the wine business of 'MAS RODÓ Vitivinícola'. Carles Sala interviewed by TVE, 'Televisión Española', for the prime time programme 'Tinc una idea' to explain the work 'Spring in Pantone 375 C MAS RODÓ winery'. 'Tinc una idea', 'La 2 de Televisión Española', TVE 25th October 2012. The SALA FERUSIC's work '¿menos da una piedra? LA GRAVERA winery' has been published on Arch Daily. 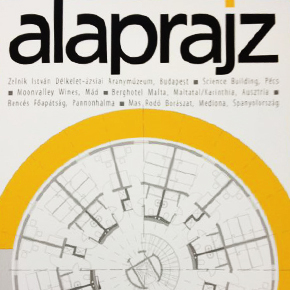 The work 'Spring in Pantone 375 C MAS RODÓ winery' is published in the Hungarian architectural magazine 'Alaprajz'. 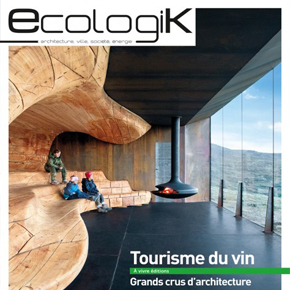 The work 'Spring in Pantone 375 C MAS RODÓ winery' is published in the French architectural magazine 'Ecologik'. The SALA FERUSIC's work '¿menos da una piedra? 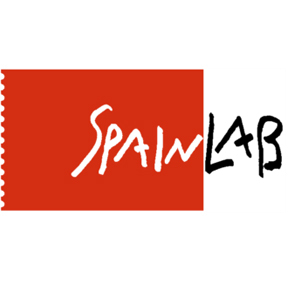 LAGRAVERA winery' has been selected for 'OPEN LAB', the Open Innovation Platform on Architecture of 'SPAIN LAB'. 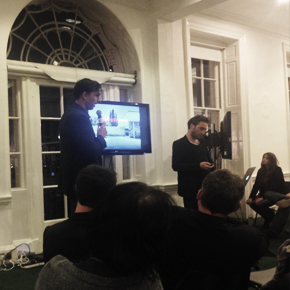 'OPEN LAB', the Open Innovation Platform on Architecture of 'SPAIN LAB'. The work 'Spring in Pantone 375 C MAS RODÓ winery' is selected for the Spanish National Architectural Awards, held by the Foundation ARQUIA / PRÓXIMA in A Coruña, Spain. 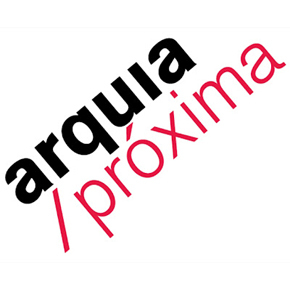 ARQUIA / PRÓXIMA National Architectural Awards 2012, A Coruña, Spain. 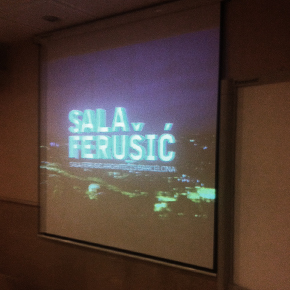 Relja Ferusic and Carles Sala invited to talk about SALA FERUSIC's work '¿menos da una piedra? LAGRAVERA winery' at 'Sessions' held by 'Quaderns' magazine at the 'Col.legi d'Arquitectes de Catalunya', COAC in Barcelona, Spain. 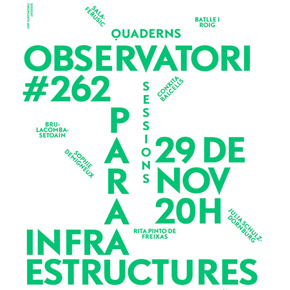 Sessions / 'Quaderns d'Arquitectura i Urbanisme', 'Col.legi d'Arquitectes de Catalunya', COAC. Plaça Nova, Barcelona 29 de Novembre de 2011. 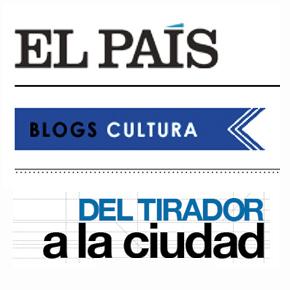 The prestigious architectural critique, Anatxu Zabalbeascoa, from 'El País' Spanish national newspaper writes about SALA FERUSIC's work on wine architecture. 'Bodega a Capas', 'Del Tirador a la Ciudad', 'El País' Blog 21st October 2011. 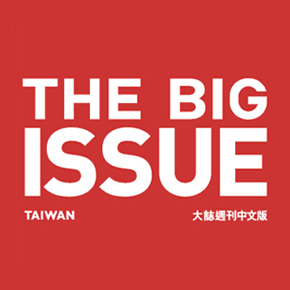 The taiwanese edition of 'The Big Issue' magazines talks about the 'Spring in Pantone 375 C MAS RODÓ winery'. 'The Big Issue', number 19, October 2011. 'THE PLUG INN, dorm in IIT' has been published in the book named 'Archiprix 2011, The World's Best Graduation Projects', edited by Henk van der Veen from 010 in collaboration with the MIT, Boston. The SALA FERUSIC's work '¿menos da una piedra? LA GRAVERA winery' has been published in 'Quaderns' by the 'Col.legi d'Arquitectes de Catalunya', COAC. The 'Spring in Pantone 375 C MAS RODÓ winery' has been published on Architizer. 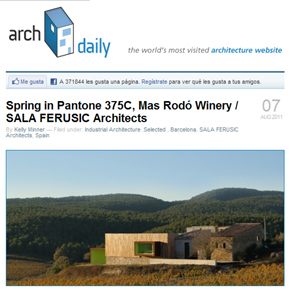 The 'Spring in Pantone 375 C MAS RODÓ winery' has been published on Arch Daily. 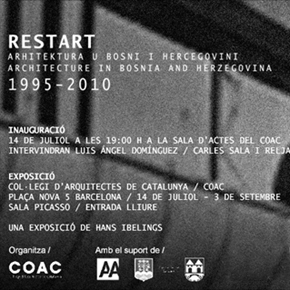 Invited together with Relja Ferusic, both from SALA FERUSIC Architects, to introduce the opening ceremony of the exhibition 'RESTART 1995-2010, Architecture in Bosnia and Herzegovina' at COAC. Invited to offer a lecture about the SALA FERUSIC's work on 'Wine Architecture' such as '¿menos da una piedra? LA GRAVERA winery' and the 'Spring in Pantone 375 C MAS RODÓ winery' at the International Summer School de 'La Salle Arquitectura', 'Universitat Ramón Llull' in Barcelona. Exhibited the Master Thesis 'THE PLUG INN, Dorm in IIT' at the 'Massachussets Institute of Technology', MIT in Boston, on behalf of the ETSAB, in the exhibition 'Archiprix 2011, The World's Best Graduation Projects'. 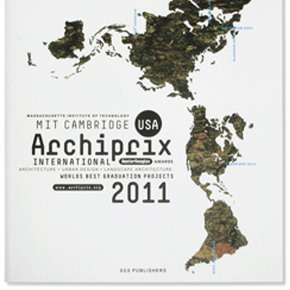 'Archiprix 2011, The World's Best Graduation Projects' held at the 'Massachussets Institute of Technology', MIT in Boston. Exhibited the Master Thesis 'THE PLUG INN, Dorm in IIT' at the 'Col.legi Oficial d'Arquitectes de Catalunya', COAC, held by the BiArch, 'Barcelona Institute of Architecture'. Exhibition of Architecture Graduation Projects at the 'Col.legi Oficial d'Arquitectes de Catalunya', COAC, held by the 'BiArch', 'Barcelona Institute of Architecture'. Invited together with Relja Ferusic, both from SALA FERUSIC Architects, to present the work '¿menos da una piedra? 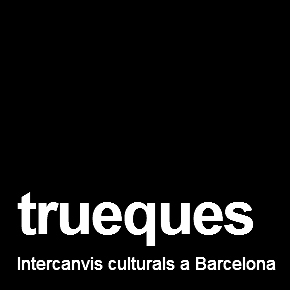 LA GRAVERA winery', at 'Trueques, Intercambios culturales a Barcelona', at Metroom in Barcelona. 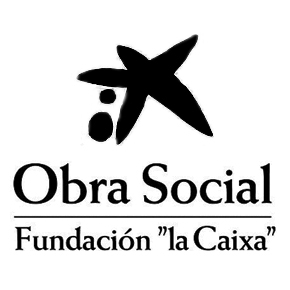 Acknowledgement by "La Caixa" Foundation / Social Work with a Full Scholarship to study a Masters in Architecture and Urbanism at the AA School / Architectural Association in London, United Kingdom. 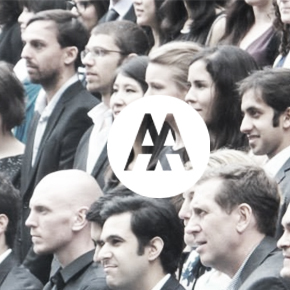 AA School / Architectural Association , London, UK. 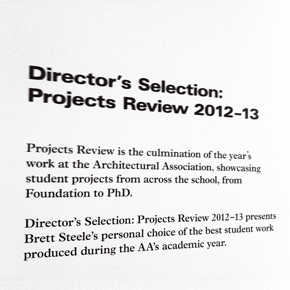 AA DRL / Design Research Laboratory, MArch in Architecture and Urbanism. The SALA FERUSIC's proposal for 'The Egg Science Promotion Centre' in Belgrade, as well as the proposal for 'Foam Cultural Centre' in Roses and their work '8uit Public Library' in Caldes de Malavella are selected for the 'Collegium Artisticum' Awards 2011 held by the Architect's Association of Sarajevo, ASAS. Invited together with Relja Ferusic, ato offer a speech about the SALA FERUSIC's work on 'Architecture and Wine' such as '¿menos da una piedra? 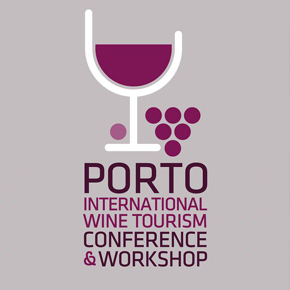 LA GRAVERA winery' and 'Spring in Pantone 375 C MAS RODÓ winery' at the International Wine Tourism Conference, in Porto, Portugal. The SALA FERUSIC's work '¿menos da una piedra? 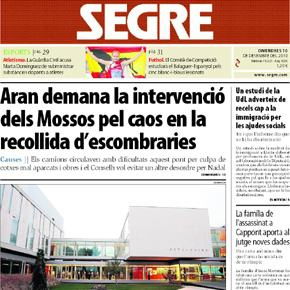 LA GRAVERA winery' has been published in the newspaper 'Segre', as a result of being acknowledged with the First Prize at the '3M and 3iM Awards' held by COAC. The SALA FERUSIC's work '¿menos da una piedra? 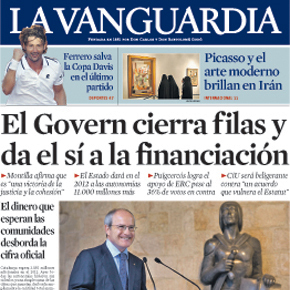 LA GRAVERA winery' has been published in the newspaper 'La Mañana', as a result of being acknowledged with the First Prize at the '3M and 3iM Awards' held by COAC. The SALA FERUSIC's work '¿menos da una piedra? LA GRAVERA winery' has been published in the '3M and 3iM Awards' Catalogue edited by COAC, as a result of being acknowledged with the First Prize. Exhibited the SALA FERUSIC's work '¿menos da una piedra? LA GRAVERA winery' at the '3a Mostra d'Arquitectura de les Terres de Lleida', at the 'Auditori Enric Granados' in Lleida, as a result of being awarded with the First Prize at the 3M and 3iM Awards held by the 'Col.legi d'Arquitectes de Catalunya', COAC. '3a Mostra d'Arquitectura de les Terres de Lleida' by the 'Col.legi d'Arquitectes de Catalunya', COAC. SALA FERUSIC's work '¿menos da una piedra? LA GRAVERA winery' has been awarded with the First Prize at the 3M and 3iM Awards held by the 'Col.legi d'Arquitectes de Catalunya', COAC. 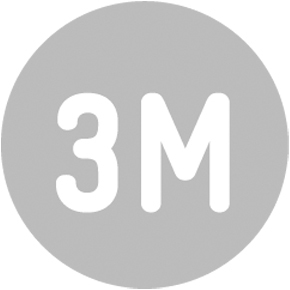 3M and 3iM Awards by the 'Col.legi d'Arquitectes de Catalunya', COAC. The SALA FERUSIC's work 'Emotivne Topografije Memorial Museum' in Srebrenica has been published on the book edited by the prestigious Hans Ibelings named 'RESTART 1995-2010, Architecture in Bosnia and Herzegovina', a monography of the work and projects developed in the Balkan country after the war. Exhibited the SALA FERUSIC's complete works and projects at the monographic exhibition of the studio 'Last Minute! ', shown at the Carmelitas Gallery, in Barcelona. International Young Architecture Symposium held by the 'Col.legi Oficial d'Arquitectes de Catalunya', COAC, together with the AJAC. The SALA FERUSIC's work '¿menos da una piedra? 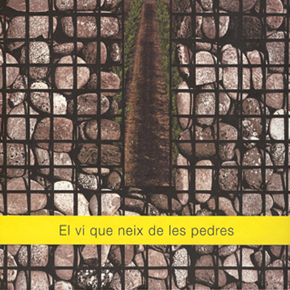 LA GRAVERA winery' has been published in the book named 'El vi que neix de les pedres', which has been edited by Lagravera winery to promote their wines and to enhace their brand. The 'Spring in Pantone 375 C MAS RODÓ winery' has been published on the monthly magazine 'Epicur', as part of the report named 'The new wine cathedrals'. 'THE PLUG INN, dorm in IIT' has been acknowledged as a Finalist work in the First Edition of the Graduate Architecture International Awards. 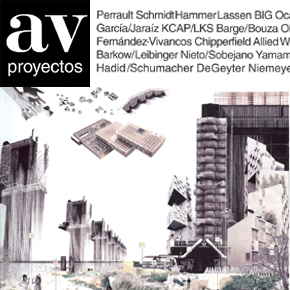 'THE PLUG INN, dorm in IIT' is published on the latest edition of the Spanish national architectural magazine 'AV Proyectos'. 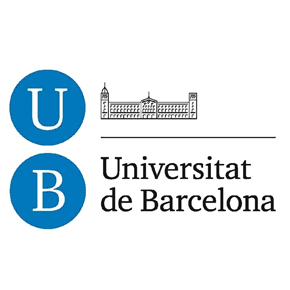 Acknowledgement by the 'Consell Social de la Universitat Politècnica de Catalunya' (UPC) for the awards obtained for the Final Thesis 'THE PLUG INN, dorm in IIT'. 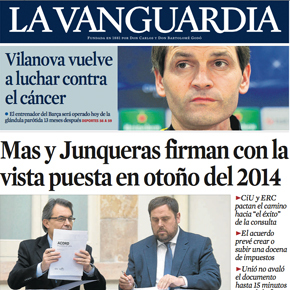 'Nit UPC' held on the 16th June 2010 at the 'Palau de la Música Catalana', which relied on the presence of Ernest Maragall, 'Conseller d’Educació', Ramón Garcia-Bragado, 'Tinent Alcalde de Barcelona', Antoni Giró, UPC's vice-chancellor and Joaquim Boixareu, 'Consell Social de la UPC's president. 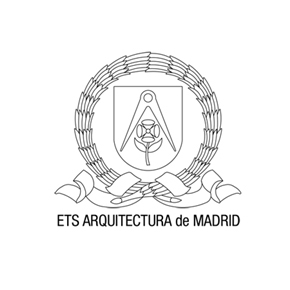 Invited to offer a lecture about the Master Thesis ‘THE PLUG INN, dorm in IIT’ at the ‘Escuela Técnica Superior de Arquitectura de Madrid’, in Madrid. Master Thesis ‘THE PLUG INN, dorm in IIT’ obtains the ACXT IDOM Master Thesis International Award. 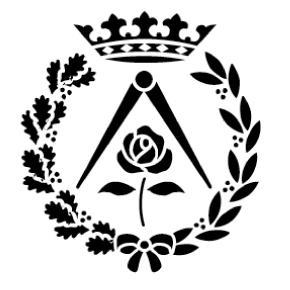 Invited to the discussion board of the ‘III Muestra de Proyectos Final de Carrera’ , as well as to offer a lecture about the Master Thesis ‘THE PLUG INN, dorm in IIT’ at the 'Escuela Técnica Superior de Arquitectura y Geodesia', ‘Universidad de Alcalá de Henares’, in Madrid. Master Thesis ‘THE PLUG INN, dorm in IIT’ selected for the ‘III Muestra de PFC’ at the ‘X Bienal Española de Arquitectura y Urbanismo’. 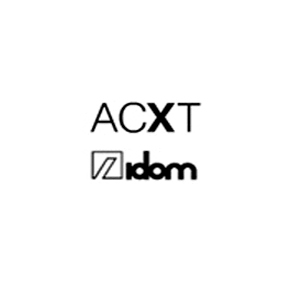 'THE PLUG INN, dorm in IIT' obtains the Award in the III Edition of the ACXT IDOM Master Thesis International Award. Exhibited the 'Spring in Pantone 375 C MAS RODÓ winery' at the Círculo de Bellas Artes in Madrid, as part of the FAD's 'Vivir con Madera' Awards Exhibition, opened by the Spanish deputy prime minister María Teresa Fernández de la Vega. THE WILD SALMON is interviewed by 'La Malla Tendències' on its installation 'thing' at 'La Cripta del FAD', 'Foment de les Arts i del Disseny'. 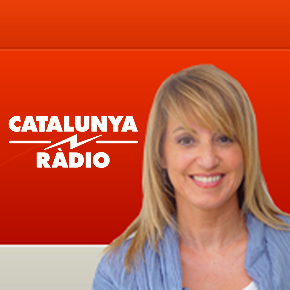 The architectural studio SALA FERUSIC is interviewed on its work in relation to wine and architecture in 'La caçadora de tendències' section by the journalist Núria Coll, in 'El Secret' by Sílvia Cóppulo, 'Catalunya Ràdio'. The SALA FERUSIC's proposal for 'Emotivne Topografije Memorial Museum' in Srebrenica, Bosnia and Herzegovina, obtains a Honourable Mention on the International Competition, held by Ziksar. 'THE PLUG INN, dorm in IIT' is published on the 'ETSAB PFC 2008 Folder', as a result of having being A graded. The SALA FERUSIC's '¿menos da una piedra? La Gravera winery' is published on the 'Collegium Artisticum 2010' Catalogue, held at the Architectural Association of Sarajevo. 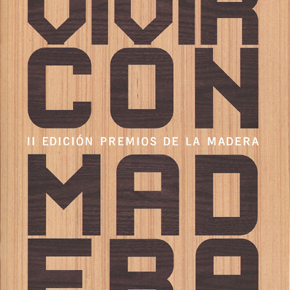 The 'Spring in Pantone 375 C MAS RODÓ winery' has been acknowledged as a Finalist work in the II Edition of the FAD's 'Vivir con Madera' National Awards. 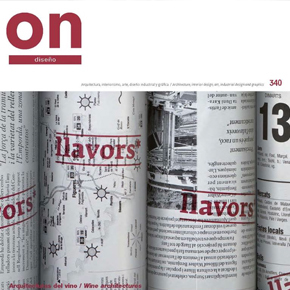 Publication on 'ON Diseño' about the 'Spring in Pantone 375 C MAS RODÓ winery' as a result of being acknowledged as a Finalist work in the II Edition of the FAD's 'Vivir con Madera' National Awards. 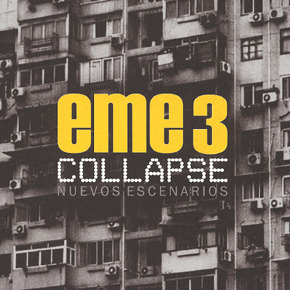 Projected the urban audiovisual 'On Time' at the 'Centre de Cultura Contemporània de Barcelona', CCCB, as part of the International Architectural Festival EME3 Collapse. The SALA FERUSIC's proposal for 'L'H2O 'El Repartidor' Square' in L'Hospitalet del Llobregat, Barcelona, obtains the Second Prize on the Public Competition, held by 'L'Hospitalet de Llobregat' City Hall. 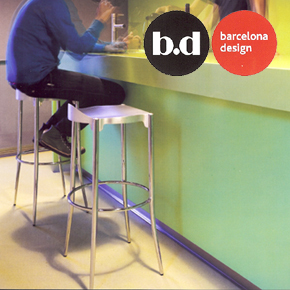 The 'Spring in Pantone 375 C MAS RODÓ winery' becomes the scenario for the Barcelona Design's 'Table B' by Konstantin Grcic, which has been acknowledged with the 2009 ADI-FAD Award. 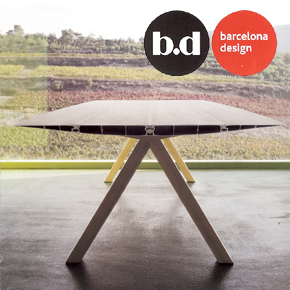 Barcelona Design, 2010 BD Catalogue. The 'Spring in Pantone 375 C MAS RODÓ winery' becomes the scenario for the Barcelona Design's 'Janet Stool' by Ramón Úbeda and Otto Canalda. The urban audiovisual 'On Time' is acknowledged with the First Prize at the EME3 International Architectural Fest, held at the Centre de Cultura Contemporània de Barcelona, CCCB. 'THE PLUG INN, dorm in IIT' obtains the ETSAB's Honour Prize, designated by the Commitee for Excellence, consiting of the architects Alfons Soldevila, Manuel de Solà-Morales and Elias Torres. 'THE PLUG INN, dorm in IIT' is published on the ETSAB's Master Thesis Compilation 'Testimoni d'un Tribunal de Projecte Final de Carrera (1996-2009): Alfons Soldevila', as an acknowledgement to the professor and architect Alfons Soldevila. 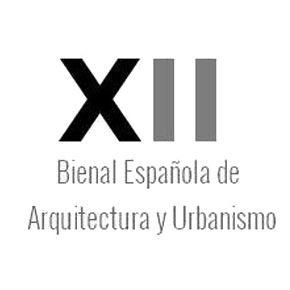 'THE PLUG INN, dorm in IIT' is selected together with other 19 Spanish Master Thesis for the 'III Muestra de PFC' by the 'Bienal Española de Arquitectura y Urbanismo'. THE WILD SALMON is selected with the installation 'thing', together with other 7 Spanish young artists and designers for the 'Professionals en Incubació' 2009 Exhibition Season by 'La incubadora del FAD'. 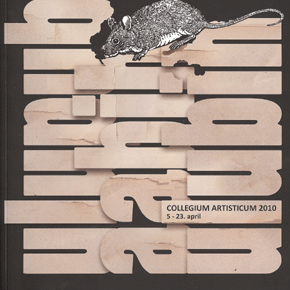 'Professionals en Incubació' 2009 Exhibition Season by 'La incubadora del FAD'. 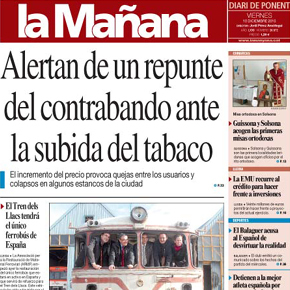 Information note on the cultural agenda of 'La Vanguardia' newspaper, about the opening of THE WILD SALMON's installation 'thing' in 'La Cripta del FAD', as part of the 'Professionals en Incubació' 2009 Exhibition Season by 'La Incubadora del FAD'. 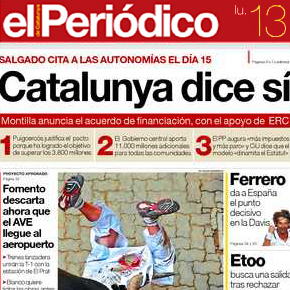 Information note on the cultural agenda of 'El Periódico' newspaper, about the opening of THE WILD SALMON's installation 'thing' in 'La Cripta del FAD', as part of the 'Professionals en Incubació' 2009 Exhibition Season by 'La Incubadora del FAD'.